The Weighmate is an automatic weighing machine for handling free flowing products quickly and accurately. The compact proportions allow it to be used in small spaces, either bench mounted or over automatic packaging machinery. 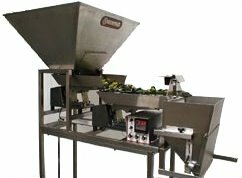 With many 100's installed worldwide, the Weighmate is one of the most successful and popular low cost weigher available. Originally built by Euroweigh (UK), it is now produced by Linapack in Thailand. 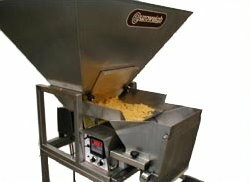 Fully automatic single tray weigher for small granular products up to approximately 10mm diameter. Twin vibratory feed system enables larger piece products to be handled quickly and accurately. Both Weighmate 2 and Weighmate 4 can be set in multiple lanes versions to increase the throughput. The Weighmate 2 and Weighmate 4 can be used in a semi-automatic manner with the operator pressing a foot pedal or can be installed on an automatic packaging machine. Example of semi-automatic operation with stand, hopper, chute and foot pedal. 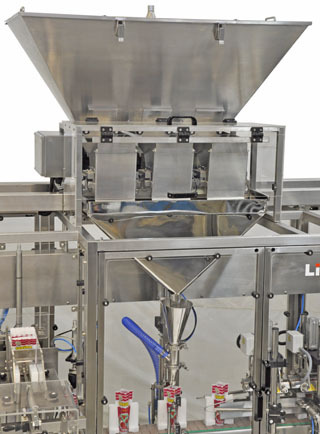 Example of automatic operation, triple Weighmate 2 mounted on a Linapack LFS1000 stand-up pouch machine. 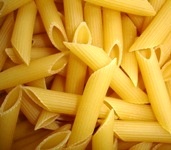 Weight range up to 5Kg. Up to 20 weighments per minute per lane (depending on product and accuracy). Maintenance free vibratory feed system and loadcell balance. Adjustable outlet chute to suit a wide variety of bags etc. 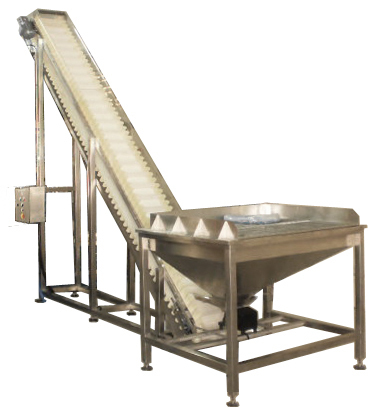 Bulk elevating conveyor controlled by a level sensor in the Weighmate hopper for convenient automatic refilling. This elevator is very gentle with the product. Full stainless steel construction. Most dry free flowing products handled, typical products include snack food, confectionery, tea, coffee, rice, pet and animal foods, biscuits, fertilizer, sand, gravel, small hardware items.